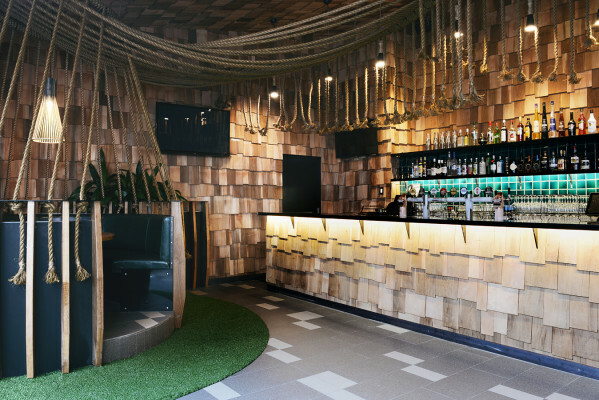 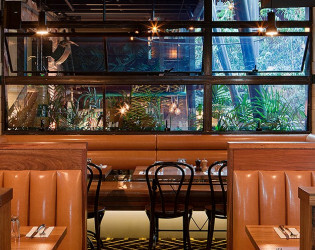 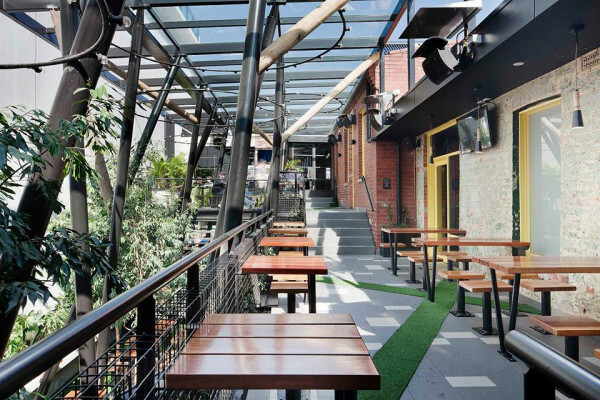 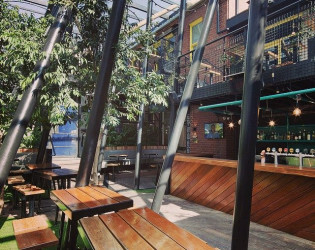 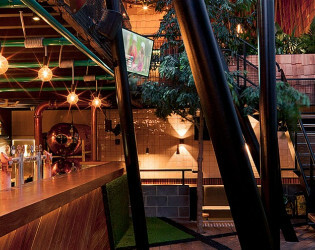 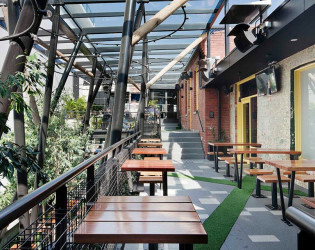 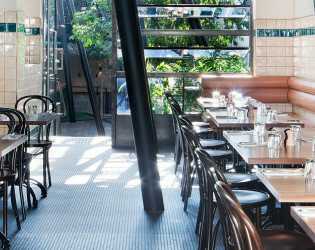 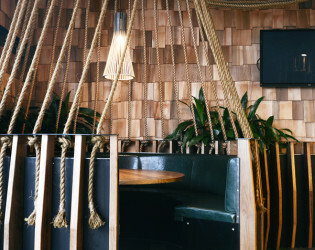 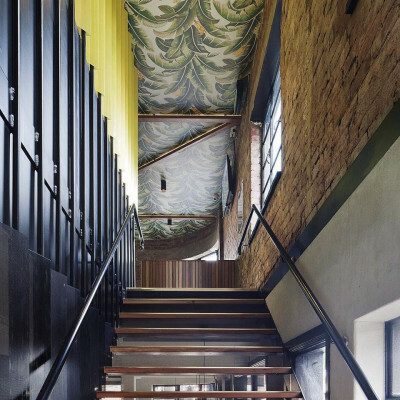 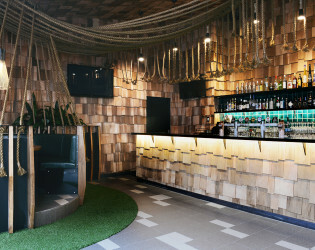 This iconic Melbourne hot spot has come back to life, with a dining room, jungle beer garden, and several celebrated bars. 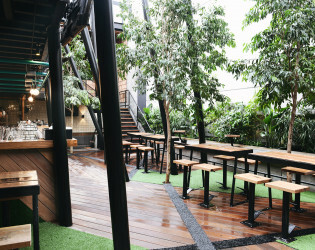 With a kitchen run by an acclaimed chef and a beer menu that never does anything less than deliver, this is the place to be merry. 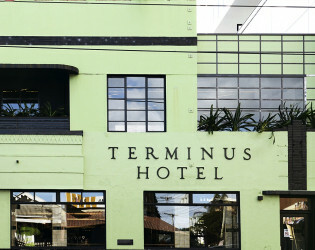 An iconic Melburnian has awoken from her slumber. 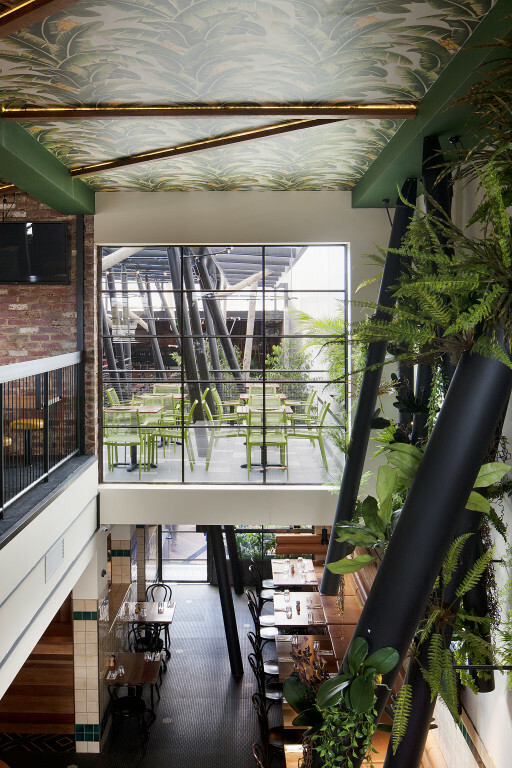 Resurrected and reinvigorated, the grand old lady of Abbotsford has triumphantly returned with a fresh and inspired new look, while maintaining her magnetic 20th century presence, distinctive green façade and cheeky sense of fun and irreverence. 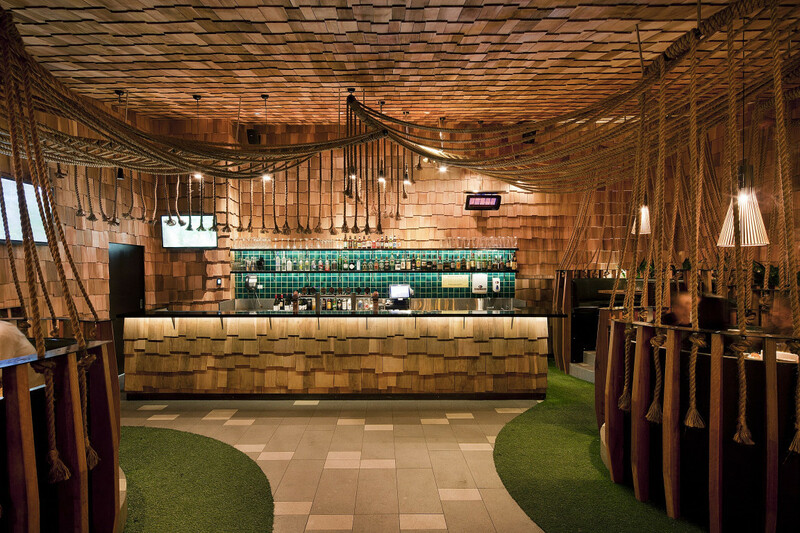 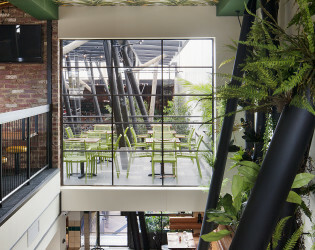 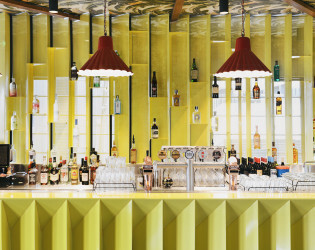 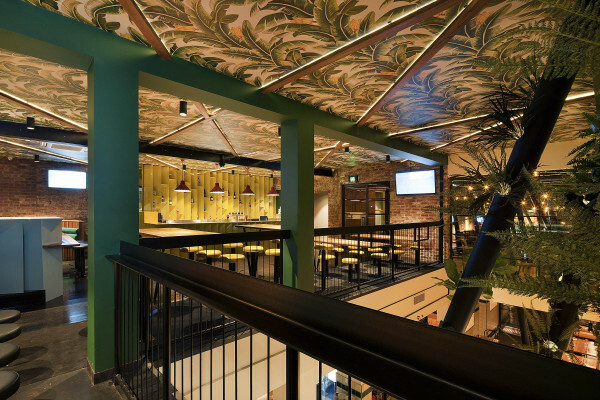 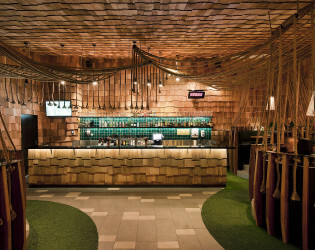 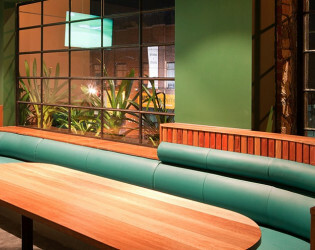 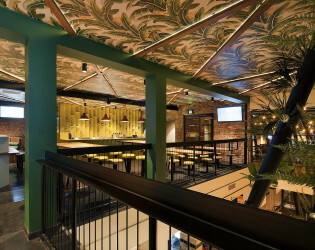 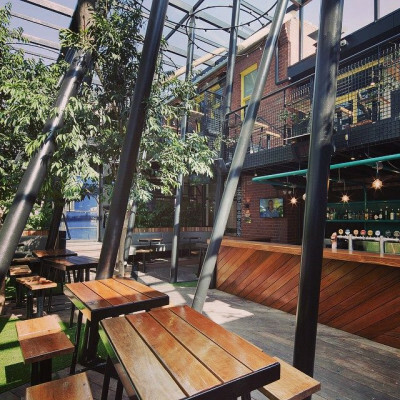 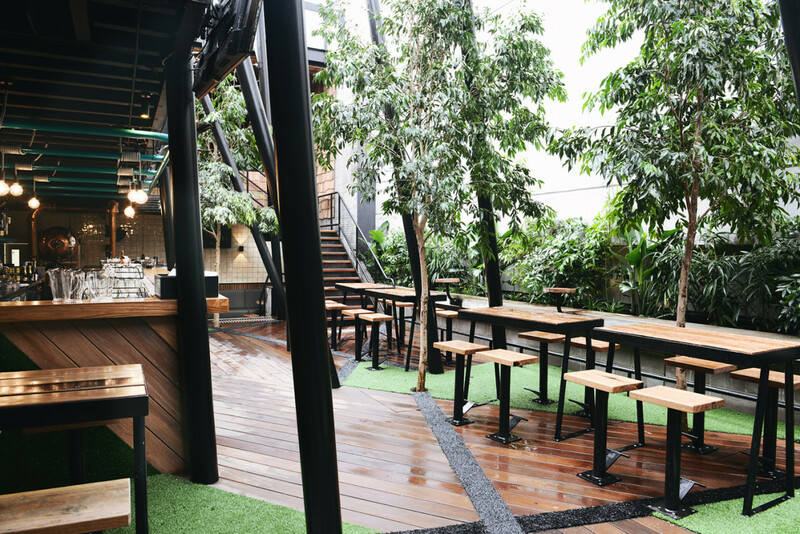 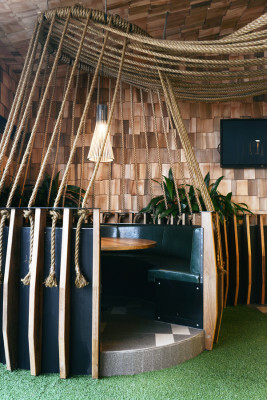 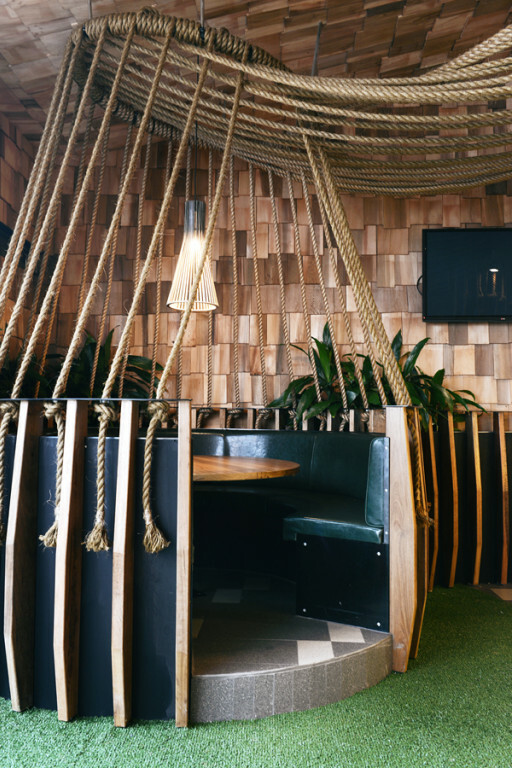 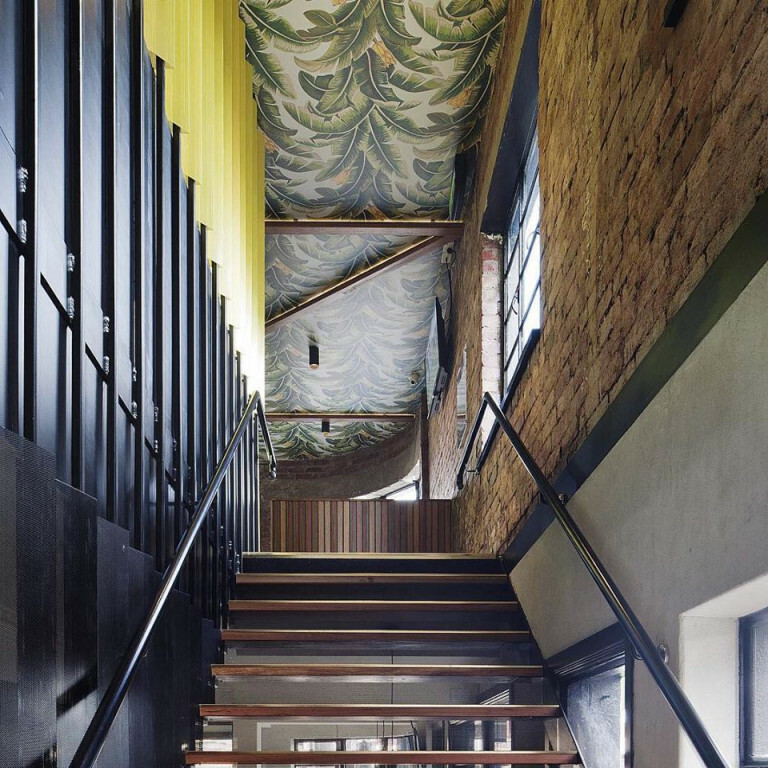 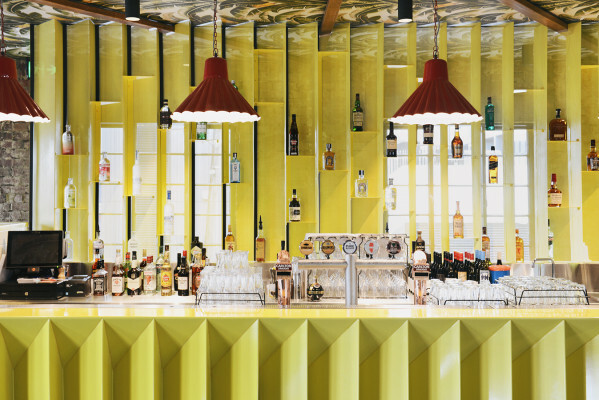 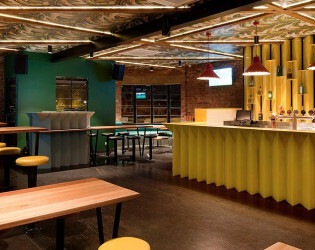 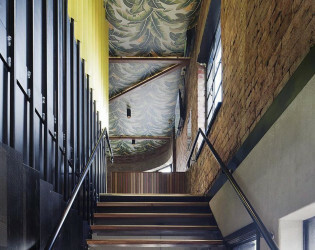 The new look Terminus (or ‘Termo’ as she’s affectionately known) provides punters with a collection of incredible spaces including a traditional Public Bar, Level One Bar, a two level urban jungle Beer Garden, a 40-seat Dining Room & a striking outdoor Terrace Bar. 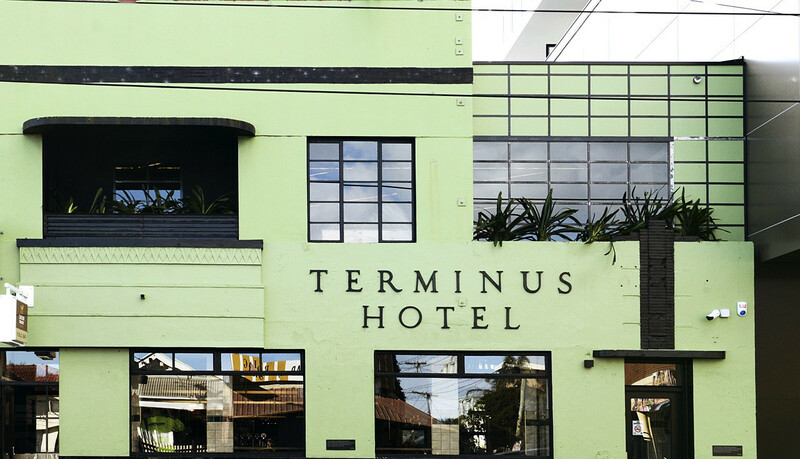 The Terminus Hotel menu offers a refined approach to classic and accessible pub fare, executed with signature flare by Head Chef Bruce Andrews. 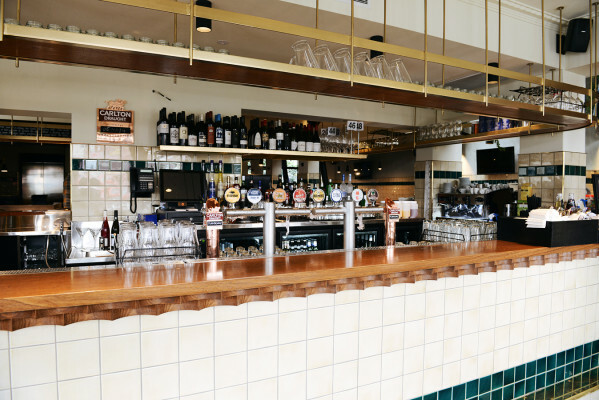 On the menu you will find an extensive list of bar & grazing items, a variety of fresh and vibrant salads, steaks, seafood and all your classic pub favourites. 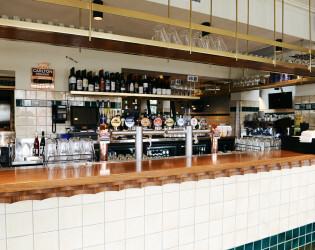 The Dining Room takes lunch and dinner bookings seven days a week, with Tuesday and Thursday being $15 Steak and Parma night. 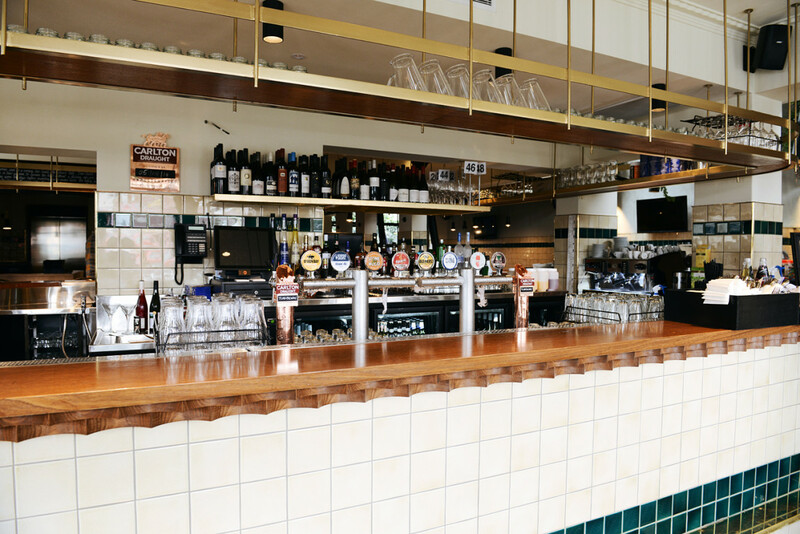 Drop in for our Worker’s Lunch express menu every Monday – Thursday for a selection of $15 mains between 12pm and 3pm. Huge windows bringing in amazing natural lighting.